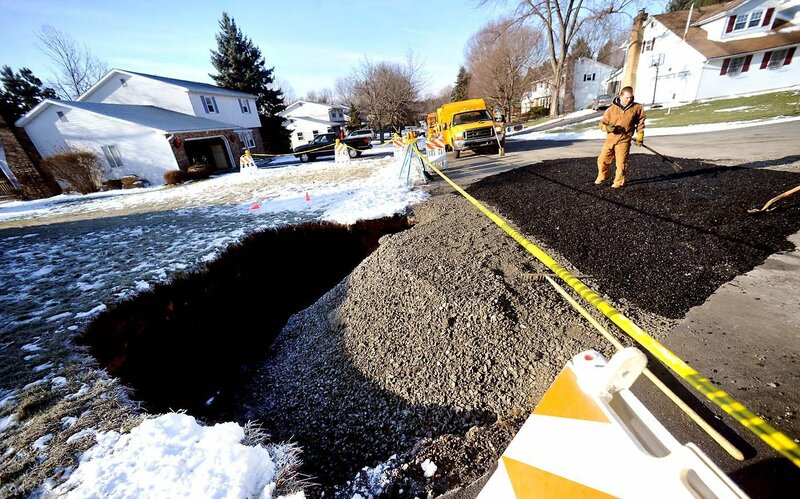 Residents of this Bethlehem suburban street would rather have got coal in their stockings than these twin sinkholes. Repairs to the sinkholes underway. 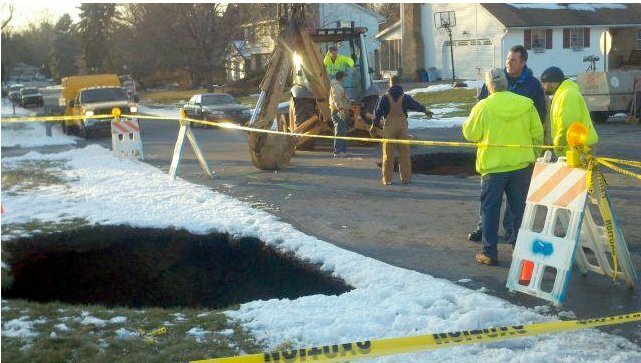 This entry was posted in Pictures and tagged Pennsylvania, sinkhole. Bookmark the permalink.